content to highlight on the site. 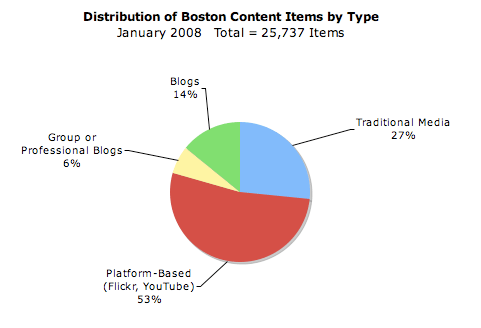 distribution of the types of items indexed on 9Neighbors in January. their own reasons. All of that competes with traditional media for the community’s attention. This is an archive of posts written between 2006 and 2010. The Mashalist blog archive goes further back. For something more up-to-date, please follow me on Twitter. Don’t Build a Personal Brand. Build a Lasting Institution.